When Naomi's radio station hires PI Rick Cahill to protect Naomi and track down the stalker, he discovers that Naomi is hiding secrets about her past that could help unmask the man. However, before Rick can extract the truth from Naomi, he is thrust into a missing person's case--an abduction he may have unwittingly caused. The investigating detective questions Rick's motives for getting involved and pressures him to stop meddling. 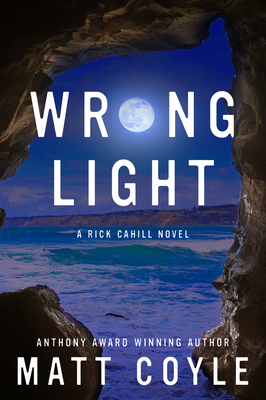 While Rick pursues Naomi's stalker and battles the police, evil ricochets from his own past and embroils Rick in a race to find the truth about an old nemesis. Is settling the score worth losing everything?